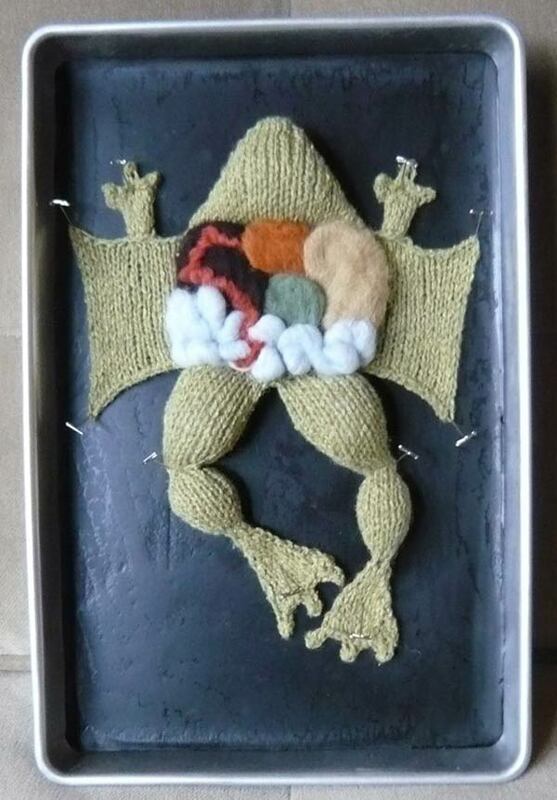 The frog up there is hand knit from a silk/wool blend, while its innards are needle-felted out of 100% pure wool. It even comes pinned to a dissection tray for that added morbidity! 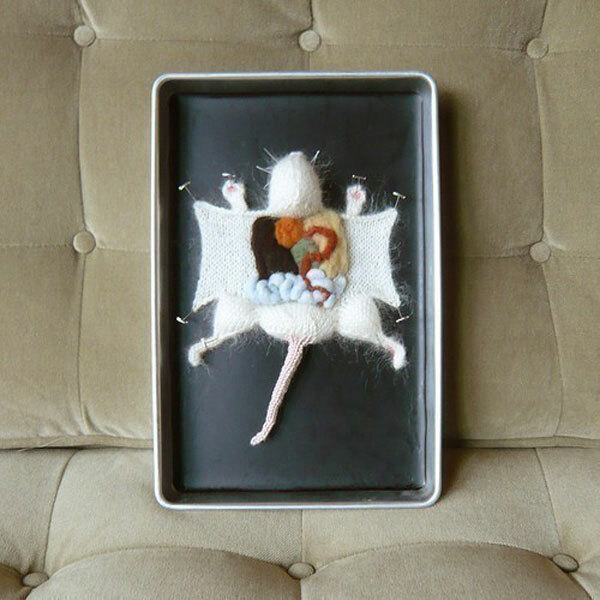 The poor lab rat above is made from an acrylic/mohair blend with wool innards. Both the frog and the rat can be taken out of their trays (they’re only pinned down, not glued to their trays) and… cuddled. Wednesday Addams approves. 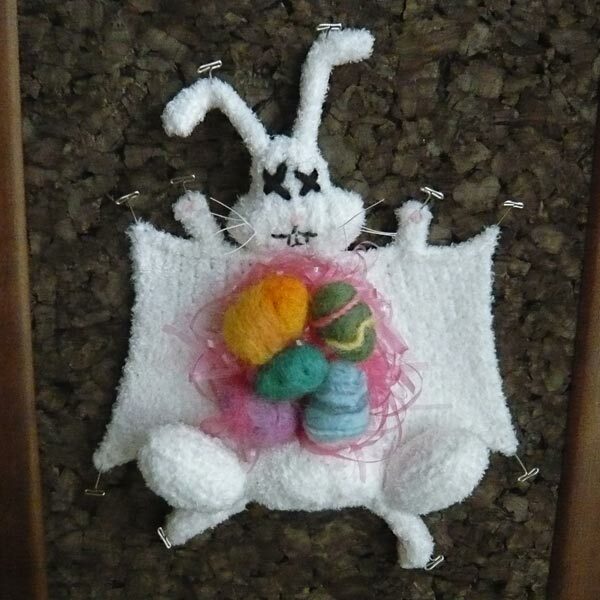 There’s also a dissected Easter Bunny, which has Easter eggs in place of innards. All of the creations sell for $125 (USD) at The Crafty Hedgehog’s Etsy shop. Quite expensive eh? If you know how to knit, you can purchase the knitting patterns for the frog and the rat instead for only $4 each. Too bad there are no knitted dissected catfish. That would have done it for me.